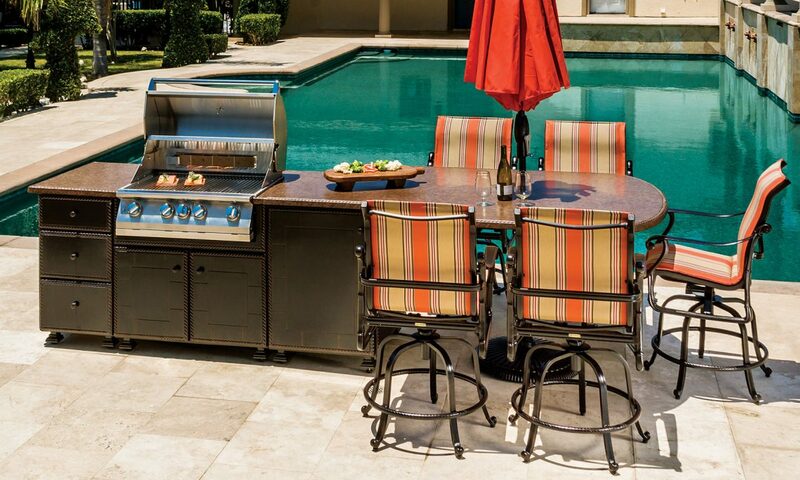 As the epitome of home luxury, an outdoor kitchen is the ultimate for most backyard living choices. Providing unparalleled functionality as well as comfortable extravagance, outside kitchen elements at Spa Hearth & Home were specifically selected for unparalleled beauty as well as reliable durability. Combining weather-resistant materials with high-end design, each outdoor kitchen manufacturing brand we carry is recognized for their high quality and superior attention to detail. Offering affordable options for almost every budget, our outdoor furniture showroom is packed wall-to-wall with the most popular and sought-after outdoor furniture and kitchen options. 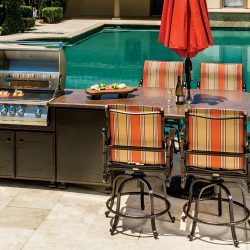 Furthermore, as a locally licensed home improvement contractor, we will happily install your outdoor kitchen for you. With every step covered beautifully, you and your family can start enjoying your own personal great outdoors in no time at all. Find out more by visiting Maple Shade’s premier source for outdoor kitchens and patio furniture today. We welcome the chance to prove why we’re different.